I am excited and grateful to be attending the Turner Classic Movies (TCM) Classic Film Festival again this year. Celebrating its 10th anniversary and with the theme of “Follow Your Heart: Love at the Movies,” the wonderful team at TCM has again assembled an outstanding selection of films for this annual event. Now that the full schedule has been released, it’s time to make a plan for what films I hope to see. As always, I want to see most everything. Since splitting into five people is not an option, I have to choose. It’s the ultimate in first world problems, but, still, it’s often a bit agonizing. My current plan is to spend the opening night of this year’s festival at the Egyptian Theatre. 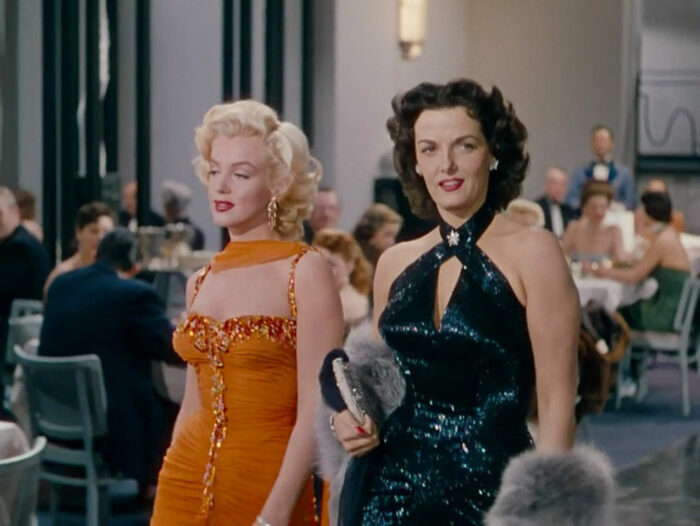 I’ll kick the festival off with the musical comedy Gentlemen Prefer Blondes (1953) starring Marilyn Monroe and Jane Russell and part of the festival’s tribute to 20th Century Fox. Next up is a 35mm nitrate screening of the comedy The Bachelor and the Bobby-Soxer (1947) starring Cary Grant, Myrna Loy, and Shirley Temple. The difficult choices begin first thing on Friday. The festival is screening another film this year at the ArcLight Cinemas’ Cinerama Dome, Cinerama’s Russian Adventure (1966), which is the last of the Cinerama compilation films. On hand will be film historian and critic Leonard Maltin and editor Hal Dennis, Jr. Seeing a film in the Cinerama Dome is always a treat and this would definitely be a unique experience. The next three films are in the TCL Chinese Multiplex: the classic silent film Sunrise: A Song of Two Humans (1927), François Truffaut’s dramedy Day for Night (1973), and the western Winchester ’73 (1950). 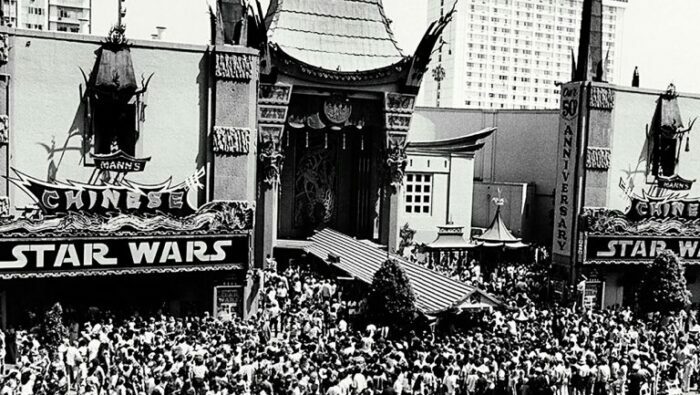 (Or I might change my plans entirely in order to see Raiders of the Lost Ark in the TCL Chinese Theatre.) The midnight movie (if I can stay awake) is Mexican cult favorite Santo vs. the Evil Brain (1961). Honestly, I’d enjoy seeing any of the 20 movies playing Friday afternoon and evening (and I wouldn’t be surprised if I changed my plans). There’s a new venue at the festival this year–the Legion Theater, part of Hollywood Post 43 of the American Legion. The theater was chartered in 1919 by World War I veterans who worked in the movie business and has recently undergone an extensive restoration. The pictures of it look beautiful and I’m excited to check it out. The first two movies on Saturday are at the Legion Theater and are part of the festival’s 20th Century Fox tribute: the musical The Little Colonel (1935) starring Shirley Temple, and then a session dedicated to the history of 20th Century Fox entitled Fox: An Appreciation with a presentation by Schawn Belston, executive vice president of Media and Library Services at 20th Century Fox. 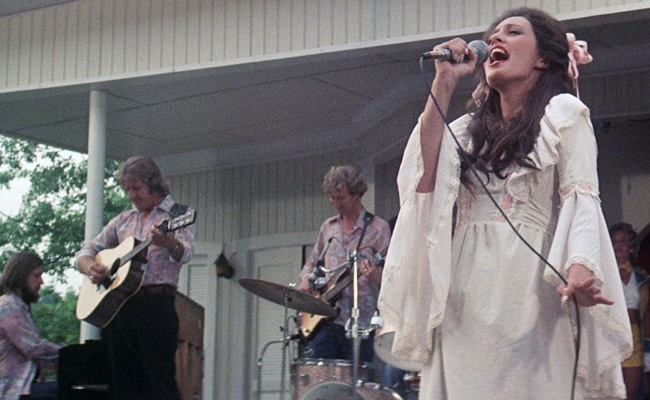 Then, it’s back to the TCL Chinese Multiplex for the comedy Father Goose (1964) with Cary Grant or the romantic drama Love Affair (1939), and Robert Altman’s Nashville (1975) with actors Ronee Blakley, Keith Carradine, Jeff Goldblum, and Joan Tewkesbury in attendance. One of the toughest decisions (again, first world problems) of the festival schedule for me is between living out a life-long dream of seeing the original (well, it’s the “Special Edition”) Star Wars movie in the TCL Chinese Theater, Star Wars – Episode IV: A New Hope (1977), or seeing one of my all-time favorite guilty pleasures Escape from New York (1981) with an intro by director John Carpenter and actor Kurt Russell. Star Wars is probably going to win (it’s one of my favorite movies ever), but it most likely will be a game time decision. With five “TBA” slots on the Sunday schedule, I’m going to play it by ear that day. I also plan to attend a TCM Backlot event at 1:30 p.m. at the Hollywood Roosevelt Hotel. I’m really hoping to be able to see The Godfather Part II (1974) on the big screen, but again, we’ll just have to see what ultimately gets scheduled and what’s going on. While the TCM Classic Film Festival is celebrating its 10th anniversary, the TCM network is celebrating its 25th anniversary this year. 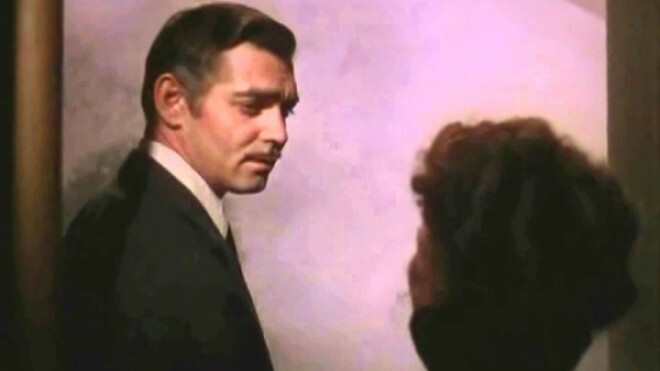 Its first day of broadcasting was on April 14, 1994 and the very first film the network played was the seminal classic Gone with the Wind (1939). The film will be shown in the TCL Chinese Theatre on Sunday afternoon at the festival, and it will also be shown on the network that same day. I’ve decided to record it on my DVR and watch it on TV when I get home, which somehow seems appropriate. 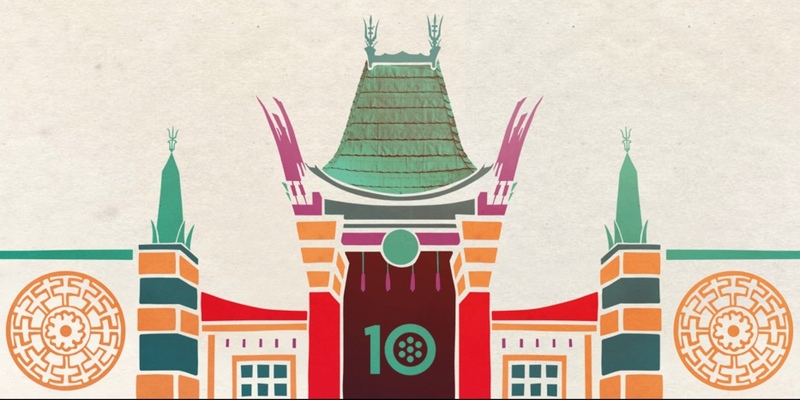 The 2019 TCM Classic Film Festival will be held April 11-14, 2019 in Hollywood, California. For details, visit tcm.com/festival.